Please find details of the companies who will be exhibiting in Hong Kong and/or Beijing as part of MWA2013. 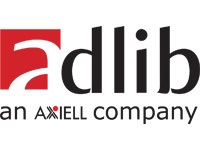 Adlib Museum is the leading software package for collections management and the online publication of collections data. Built on decades of expertise in the field, comprehensive functionality and ease of use, Adlib is the natural choice for museum professionals. Over 1,600 institutions worldwide use our software, ranging from small independent museums to National Museums. Adlib is: adaptable to all collections, ready for International standards: Spectrum, CIDOC, OAI-PMH, Unicode Europeana, and is Multi-lingual, has a Conservation module, Workflow module an can be used mobile in storeroom, contains a thesaurus, is Open with an API and integrates with Adlib Library/ Adlib Archive. Art Processors is a company founded upon innovation with a proven track-record of building visitor-centric digital experiences in response to challenging project briefs. With a focus on working with cultural sites and tourist destinations, Art Processors offer strategic technology solutions to help their clients: inform their customers prior to a visit; create greater engagement with the space while onsite; and extend the customer's interaction with the institution post visit. With strong in-house research and development capabilities Art Processors has invested heavily in the creation of Enso - a flexible content delivery platform that is ideally suited to powering best-practice, highly scalable mobile experiences. Proven, robust and reliable, this platform provides an excellent foundation for building digital experiences that people love to use by encouraging exploration of space and promoting free-thought. Espro Acoustiguide Group is a global developer, manufacturer and provider of creative multimedia content, software apps and mobile web for smartphones and tablets, proprietary hand held interpretation systems, and technology solutions for museums and cultural & heritage industries. Earlier this year the Group announced its acquisition of Canadian-based Tristan Interactive, a leading design and technology company and the largest developer of custom museum-oriented apps and websites. The Group operates via subsidiaries & distributors in over 20 countries across Europe, America, Asia & Pacific, Australia and New Zealand, with clients that include NY Guggenheim, Paris’ Louvre and Sydney's MCA. Founder Globaltech is the distributor of Mamiya Leaf camera system in Hong Kong. The iXR from Mamiya Leaf is made for taking ultra high resolution (80MP) photos of exhibits including paintings, antiques and so on. 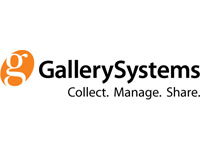 Gallery Systems provides data-driven Web applications for museums publishing collections and exhibitions online. We offer integrated, affordable solutions incorporating our eMuseum and EmbARK Web Kiosk applications, combining advanced technologies with flexible interface design to publish content directly from any database to the Web. Our clients include the Dallas Museum of Art, Memorial Art Gallery of the University of Rochester, National Portrait Gallery (Smithsonian Institution), Seattle Art Museum, Brooklyn Children's Museum, San Francisco Museum of Modern Art and the International Center of Photography/George Eastman House. 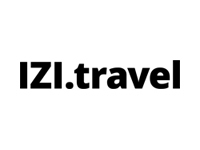 IZI.travel project is presented by Dutch IZITEQ company and provides museums with free, open mobile audioguide technology. - Easy to deploy DYI solution . KE Software is EMu is the world’s premier museum management system, suitable for museums of all sizes and engineered to manage all types of collections from art to cultural and natural history, special collections and archives in a single multi-discipline catalogue. EMu supports all museum management processes, includes integrated digital asset management and a powerful web 2.0 enabled Internet interface. 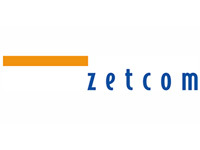 zetcom is one of the leading international developers for Collection Management Software. The Spectrum compliant system “MuseumPlus” is used by 800 of the most renowned museums and collections all over the world. Among them are the Louvre, the State Museums of Berlin and the National Museums Singapore. In 2013 we introduce our new web-based systems “MuseumPlus RIA” and “ArtPlus”, suited for the largest and most diverse museum collections on one side, or private and corporate collections, artists and galleries on the other side. The new web-based Collection Management solutions are offered as a hosted, cloud-based service on demand, they are multilingual, platform independent (Windows, Mac) and require no local installation or even in-house IT infrastructure. Collection management has never been so powerful, simple, and beautiful at the same time.